In what would be an unprecedented move by a country that has long grappled with the question of its sovereignty in relation to land ownership, the Indonesian government appears set to allow foreigners to buy property. Under present laws (most notably, Government Regulation No. 41/1996 on Housing for Foreigners Residing in Indonesia) expatriates are not authorised to acquire a freehold property title in the archipelago nation. Current regulations only permit foreigners to obtain property under the Right of Use category for a period of 25 years, with the possibility of a renewal for an additional 20 years subject to a review (See Law on Foreign Ownership). This stance now stands on the precipice of change with Land Affairs and Spatial Planning Minister, Mr Ferry Mursyidan Baldan, and his ministry being tasked with the duty to revise the 1996 regulation in accordance with the goal of opening up a selection of property types to foreign investment. Early signs indicate that the revised regulation will continue to limit foreign ownership of property to the Right of Use category (as opposed to the more advantageous freehold title category), however, it will also remove any time limit constraints therefore allowing foreign nationals to own property for an open-ended duration without the need to renew as well as enabling the property to be passed down as inheritance or resold. Crucially, the proposed amendments will only apply to luxury apartments valued at a minimum 5 billion IDR and despite initial reports to the contrary, will likely not be limited to any particular area of Indonesia. The government’s decision to carry out this course of action follows on from other measures recently taken to address slowing growth and attract investment in Indonesia’s property sector, such as the lowering of down payment requirements for mortgage loans (See Spurring Indonesia’s Property Sector through Lower Down Payment Requirements). Industry observers are optimistic that the proposed revision to laws governing foreign ownership of property will be realised, given that President Joko Widodo has already taken the step to approve its passing in principle after a meeting with officials from Real Estate Indonesia (REI) in late July 2015. While previous administrations have in the past given similarly positive signs in support of the move to allow foreign ownership of property without actually following through on their plans, President Widodo’s announcement holds particular weight in light of the aforementioned need to reverse the worrying short-term trajectory of the local property industry - itself linked to a broader economic slowdown in the country. Furthermore, the coming of the ASEAN Economic Community at the end of 2015 brings about an immediate need for Indonesia to take stock of the regional competitiveness of its property sector. Neighbouring countries such as Singapore, Malaysia and Thailand already implement property policies with provisions to allow for foreign ownership, and Indonesia must take action if it is to attract investment in this industry amidst rising international interest in Southeast Asia as a region poised for heady growth. Moreover, the proposed revision to foreign ownership of property should also serve as a boon to other business segments such as construction already being touted as an industry to watch as a result of the government’s plans to prioritise infrastructure development (See Concrete Developments in Indonesia’s Infrastructure). 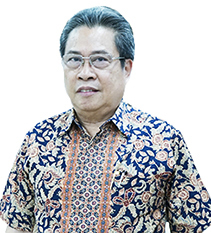 As quoted by the Jakarta Globe (25/06/2015), Mr Andi Rukman Karumpa, Secretary General of the Indonesia Builders Association, expects the opening up of luxury apartments to expatriates to accelerate construction market growth already projected to reach 14.26% in 2015 (See Construction Firms Find Strong Growth in Indonesia). Property sector experts anticipate that the new policy will boost property growth by 20%, bolstering business opportunities for cement, building materials, and high-end ceramics companies. Details about the revised regulation have not yet been made public and many unanswered questions remain regarding the nuances of its formal implementation. It is still unclear as to whether expatriates will be entitled to loans in a bid to purchase luxury apartments valued at more than 5 billion IDR. Despite earning more than the average Indonesian, a substantial portion of foreigners taking up residency in Indonesia will likely require mortgage facilities to invest in property above this price threshold. At present, Bank Indonesia Regulation No. 7/14/PBI/2005 Article 3 specifically prohibits banks operating within the Indonesian territory from providing any form of loans to foreign entities. Taking into consideration the many pending details needed to fully assess the impact of permitting foreign ownership of certain property types, the Land Affairs and Spatial Planning Minister has assured industry observers that additional information on the government decree will be released prior to its implementation by the end of the year.